At K. Jabat, Inc., we supply extrusions and injection molded components to the lawn and garden industry. Following the lead of the automotive and aerospace industries, the trend for manufacturers of lawn and garden equipment is to make their equipment and machinery lighter in weight and more fuel-efficient. Plastics offer equipment designers many options in terms of performance, price, and reliability that they can balance with safety and fuel efficiency. We work in close partnership with our customers, who tap into our engineering and materials expertise during the product design stage. This allows us to manufacture components with the best level of durability and resistance to impact, corrosion, wear, and chemical exposure. By using plastics, we assist our customers in making items such as walk-behind mowers, commercial mowers, snow blowers, powered trimmers and other hand-held equipment lighter, easier to maneuver, and more economical to operate. Fuel savings improves their environmental profile in terms of consumption rates and greenhouse gas emissions. 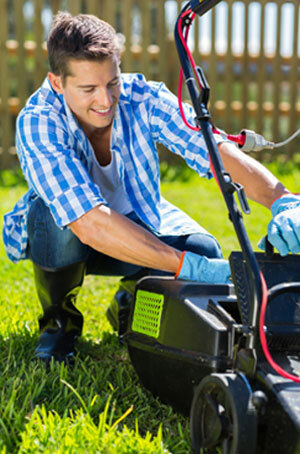 One thing manufacturers of lawn and garden equipment never overlook is safety, and our products are all manufactured to ensure the final product meets stringent consumer and industrial safety guidelines. Using our state-of-the-art technologies, we also produce a range of extruded tubing and other items related to irrigation systems. With our ability to create custom diameter piping, cut to any length, we are an excellent source of high quality and affordable supplies for this market. Everyone in our shop, from the mold makers to the materials experts and manufacturing technicians, understand the importance of producing zero-defect products that meet a high standard of performance excellence. Contact us today to discuss your application.